If you are going to review cheap beer, why not review a lot of it. 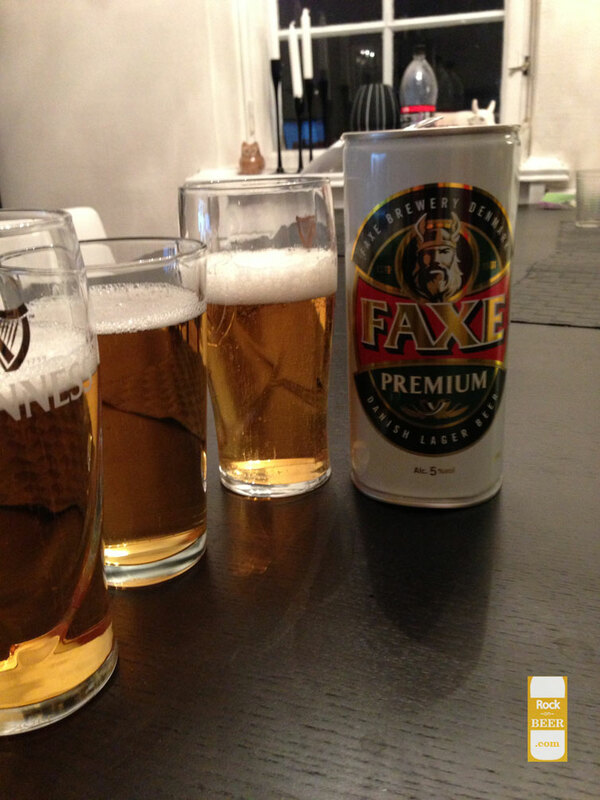 Saw this liter can of faxe premium in the store for 20 kroner ($4, and yes it is cheap here) and had to finally review this beast. It is a "strong pilsner", meaning it has about .8% more alcohol in it. This extra alcohol seems to come at the expense of taste. This straw yellow devil tastes like a watery festival beer that someone has been soaking batteries in. That is not just hyperbole, it has a distinct alkaline taste. Yeah not much more to say about this one other then, like the energizer battery that probably contributed to it, the aftertaste keeps going and going.